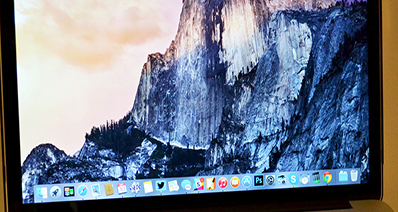 Most people involved with multimedia and its usage will probably be familiar with audacity. It is a free audio editor which enables one to cut, edit, record and optimize audio tracks. Since the advent of audacity, it became one of the most popular sound-editing platforms being provided for free to many facilities and plug-ins. 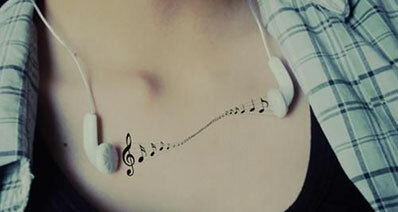 This is at par with the provision of those expensive and premium audio editing softwares. 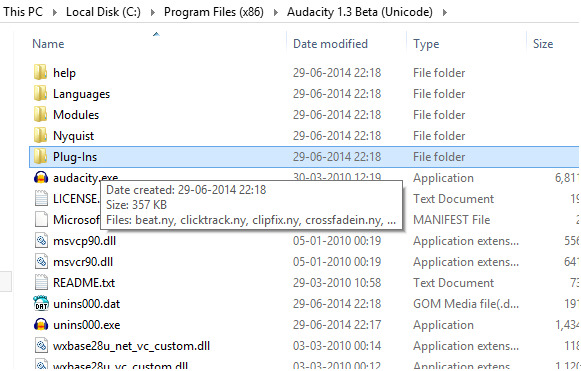 Part1: What Is Audacity VST Enabler? One of such facilities that audacity provides to its users is the VST plug-in. VST or Virtual Studio Technology plug-in allows users to edit and mix the sounds from their microphones and instruments within an audio-editing software. This is the kind of plug-ins that recording studios and audio engineers use. If you’re an aspiring musician or someone wanting to record sounds straight from your voice and instruments, this is the plug-in you must have installed on your personal computer, along with Audacity, of course. Step1. If you're using an Audacity V1.2 or an older version, the VST enabler plugin is also not very likely to be preinstalled, so you may need to do it yourself. To do this, first download the installation file from audacity's site www.audacityteam.org/vst/ and then install the .dll file into the plug-ins folder which you will find inside audacity's installation folder. On windows, the folder is usually under Program files. 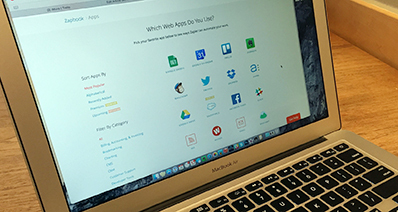 If you're using Mac OS X, you're most likely to find it in the /applications folder. If you download the plugin in .zip format, just extract the file into the said location. Your VST enabler plugin has been installed. However, if you’re using a newer version of audacity, you may not need to install it at all since it has been incorporated into the software itself. Step2. To enable VST plugins, all you need to do is go to the edit menu, select preferences and then go to the effects option. Then, you will need to check the option for VST under the enable effects heading and save the changes. Keep in mind that this does not install VST plugins itself but enables them on your computer. Once you’re done with enabling VST, you need to install the VST plugins you’re interested in. You can download these plugins from a number of sites for free: www.hitsquad.com , www.freeloops.com, www.kvraudio.com , www.dmoz.org to name a few. Then, you will need to install them to the plug-ins folder as mentioned before. Once you're done with installing the VST plugins, you can start using them. However, there are a few things you need to do before you can start with it. Step1. Go to the preferences menu as mentioned before. 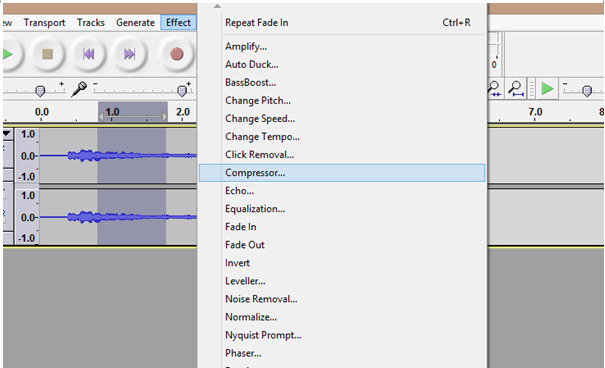 Go to effects and then check rescan VST effects next time Audacity is started. Next, close the window by clicking OK. After saving the changes, you need to restart audacity to be able to use your newly loaded effects. Close the window then open audacity again. You will now be able to use the plugins. Step2. Import or record the audio file you wish to edit. Select the segment of the track you want to apply the effect to, then press the stop button (brownish square). Step3. Go to effects menu and you will be able to see a number of effects you can apply to your track, along with the ones you loaded. Click the effect you're interested in. Step4. More often than not, a dialogue box will appear with various options to set the intensity, timing and other parameters of the effect. Set them to what fits best and then click OK. Your effect has been applied. Problem1. Is there another way to install VST plugins? Yes, another way to install VST plugins is to go to effects, then select the manage Effects, Generators and Analysers option which will open a new dialogue box. There, you can select the new effect plug-ins from the directory and enable them. This saves the trouble of finding the installation location to load your new plug-ins. Save the changes and you will be able to use them the next time you open Audacity. Problem2. Why are some of my plug-ins do not work? Although audacity supports most of the VST plug-ins available out there, it doesn't support VSTi or VST instruments plugins. These include effects such as synth, guitar and so on. 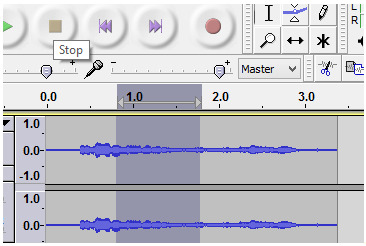 Audacity also does not support real-time effects or effects that can change the audio data simultaneously as they are being played. Therefore, enabling and re-enabling them will not be of any help since they are not supported. Problem3. I've loaded the effect, selected the audio segment, but the effects are all greyed out and unusable. Why? This is because Audacity doesn't allow effects to be applied unless the track has been stopped. After selecting the section of the track you want to edit, click on the STOP button. You will not have any problem applying effects after that. Problem4. Some of my VST plug-ins are displaying incorrectly. How can I fix this? To fix any wrongly displayed plug-ins, go to the effect option and from the dialog box, select options. This will open the VST effect options for that particular effect. In the dialog box, uncheck the enable graphical interface checkbox and click OK. The next time you open the effect, the interface will be much simpler. So, these are the methods and tips to use VST enabler and VST plug-ins in audacity. Needless to say, audacity is one of the best platforms to tweak and edit your audio files. There are myriads of effects available on the internet for free to use in audacity, and new ones are coming up every day. 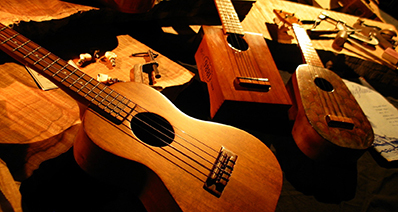 With basic knowledge of the software and internet access, you can create magical sounds. Now go ahead and make the best of VST plug-ins and Audacity.